All over the country you’ll find Mothers On Steroids. Rushing her poor little darlings this way and that in some over-charged effort to make them THE BEST at everything. Meanwhile, there are mothers like me who try not to be like them. Of course it’s harder than it sounds. A musical instrument is not negotiable in our house. And the same applies to a regular game of football (non-gender-specific). Add to the mix a keen ballerina and the schools’ tra-la-la choirs and – hey presto – we’re drowning our Smalls with to-dos. And that’s before I’ve come to the pool-safe rant. 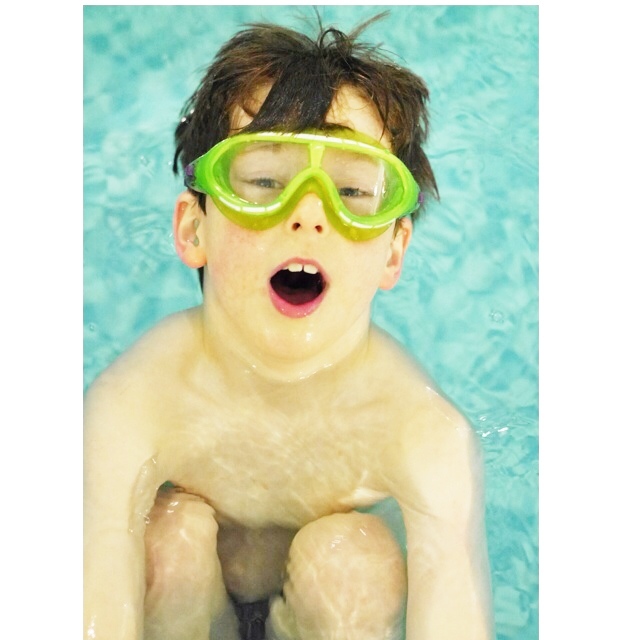 Every child should be pool-safe. And once they’re able to swim, a beautiful front crawl wouldn’t go amis. I’d even go as far as saying that swimming is a life skill. When I think back to the lowest/trickiest times in my life, I’ve had a good old plough though the water to help me see the wood from the trees, alleviate the stress and clear my head. 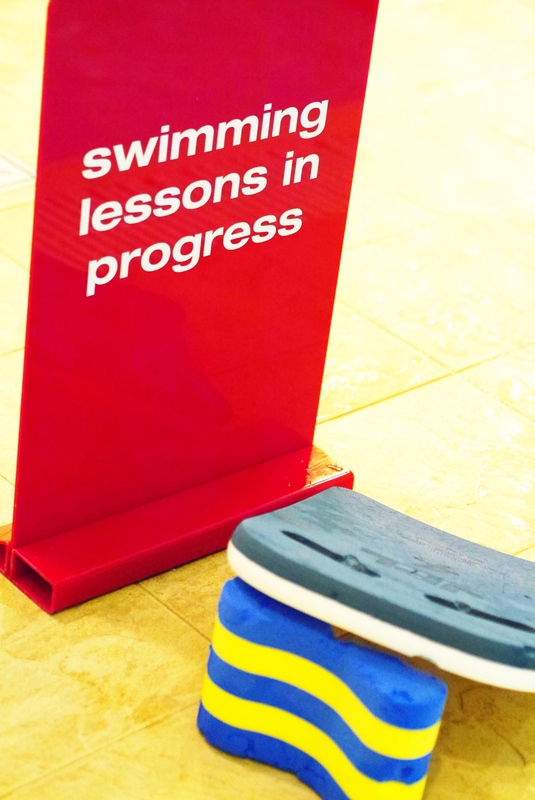 Seeing as we don’t seem to be able to fit swimming lessons into our term time madness, I signed up the Smalls for a crash course week at our local Virgin Active at the O2 Finchley Road. 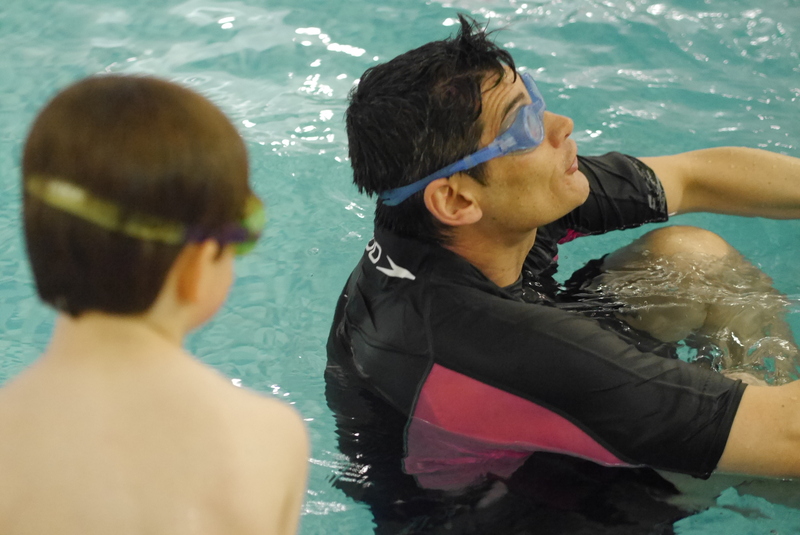 Each morning last week they had a 30 minute lesson with Gez, quite the best swim teacher in this town. 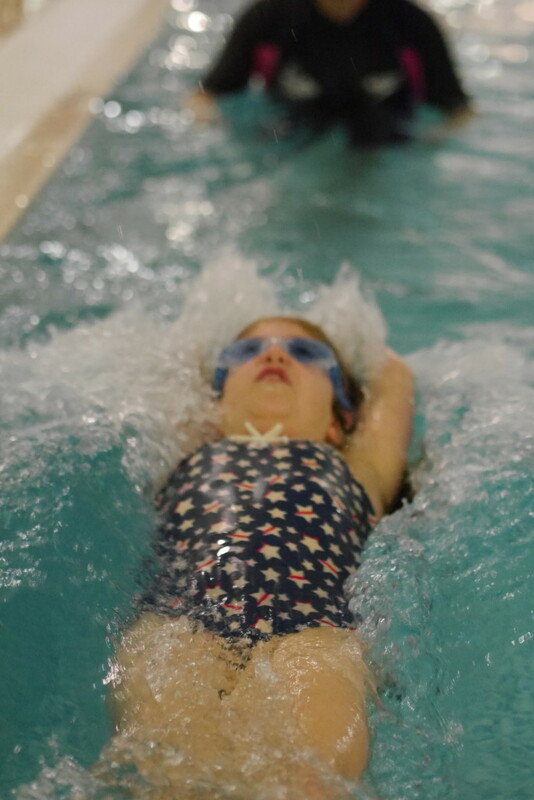 Gez taught Mini to swim aged 3 and she has swum on and off since then in shared lessons and his squads. 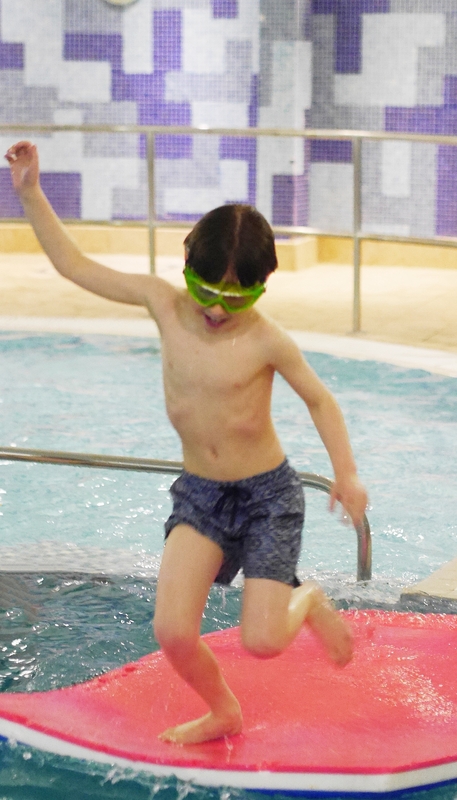 Years of glue ear, grommets and ear infections have prevented Small from learning to swim and now, aged 8, he is better than pool-safe but tends to swim more like a tadpole than a boy. Each day all 3 of us were in the pool between 9-10am. 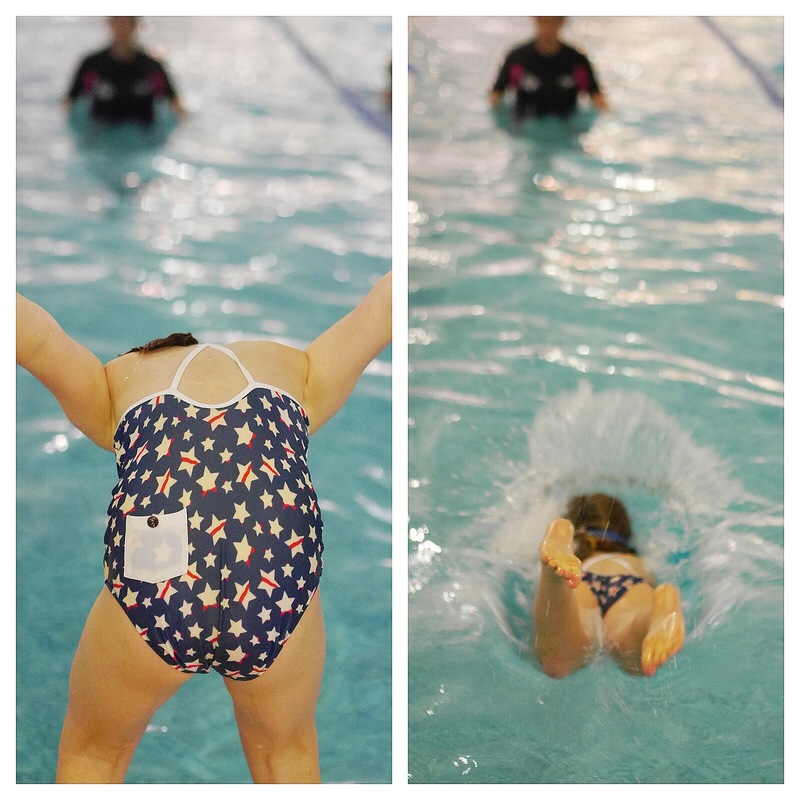 By the end of the week, Mini had butterfly, tumble-turns and racing dives mastered. And Small was doing a pretty swish front crawl up and down the 25m pool.